Last week, a package arrived from Amazon. 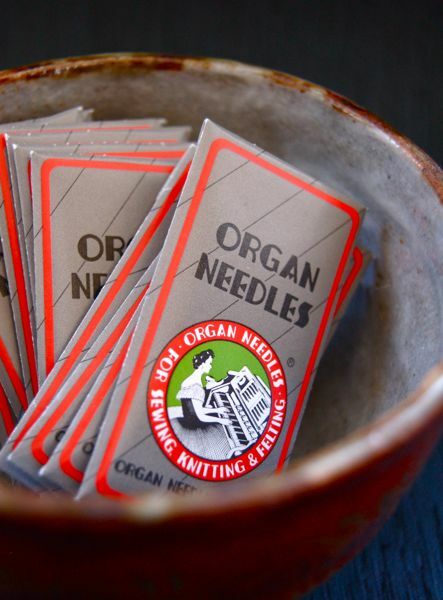 In it, 10 packages of Organ Needles. (100 needles total!) Here’s the thing, we didn’t order any sewing needles. It was our name on the envelope. Our address. But, there wasn’t any record on our bank account that we had placed an order. We called Amazon and said as much. After giving them every number we could find on the package and offering to ship the needles back, we were told, “Keep them. We have no idea who ordered them or even how to process that return.” IZ handed me the box and asked if I could use them? We hadn’t opened the box yet, so I had no idea. But, and you know this is coming right?, they turned out to be the exact size of needles I use in my machine. And here’s the other thing: just the day before I had been lamenting to IZ, concerned over my ability to keep the store stocked and the progress (or lack there of) that I was making. Looks that way to me too.